Relying on our years of experience in this industry, we are renowned as the prominent exporter of Anti Cancer Injectables, these injectables are sourced from renowned vendors of the market. These injectables are formulated in accordance with pharmaceutical industry norms.. We mainly deal in USA,UK, Australia, Japan, Russia. 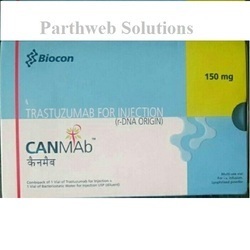 Canmab 150mg injection is used to treat breast cancer, stomach cancer. It slows or stops the growth of cancer cells. 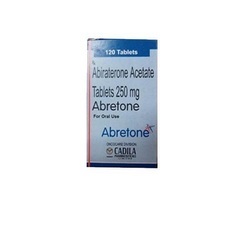 Abretone 250 mg is used in the treatment and prevention of prostate cancer that has spread to other parts of body. 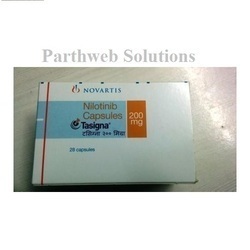 It is normally used in patients who are not responding to other treatment options. 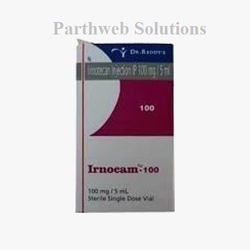 Irnocam 100mg injection is used to treat ovarian cancer, small cell lung cancer, cervical cancer. It stops or slows the growth of cancer cells. 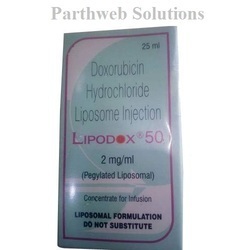 Brand Sun Pharmaceuticals Industries Ltd.
Lipodox 2mg injection is used to treat blood cancer. It stops or slows the growth of cancer cells. 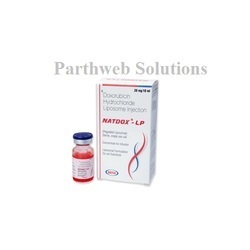 Natdox LP 20mg/10ml injection is used to treat blood cancer. It stops or slows the growth of cancer cells. 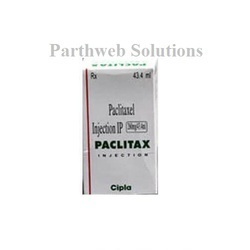 Paclitax 260mg injection is used to treat breast cancer, non small cell lung cancer and pancreatic cancer. It slows or stops the growth of cancer cells. 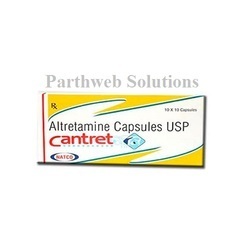 Cantret 50mg capsule is used to treat ovarian cancer. It slows or stops the growth of cancer cells. Hycamtin is used in the treatment of small cell lung cancer; ovarian cancer; cervical cancer; cancer and belongs to the drug class miscellaneous antineoplastics. There is positive evidence of human fetal risk during pregnancy. 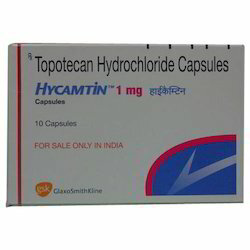 Hycamtin 1 mg is not a controlled substance under the Controlled Substance Act (CSA). 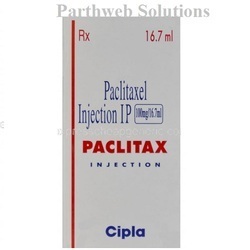 Paclitax 100mg injection is used to treat breast cancer, non small cell lung cancer and pancreatic cancer. It slows or stops the growth of cancer cells. 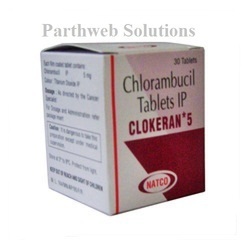 It is used for treating non-small cell lung cancer (NSLC). It is an antifolate & antineoplastic agent. It affects the growth of tumorous cells. It prevents the spread of cancer to the other parts of the body. 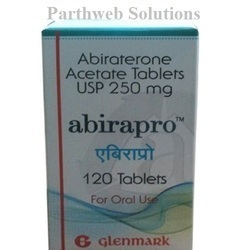 Abirapro 250mg tablet is used to treat prostate cancer. It prevents from making hormone in the body. It stops or slows the growth of cancer cells. Clokeran 2mg capsule is used to treat blood cancer, Hodgkin's disease. It stops the growth of cancer cells. 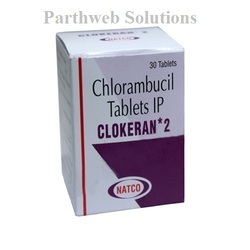 Clokeran 5mg tablet is used to treat blood cancer, hodgkin's disease. It stops the growth of cancer cells. 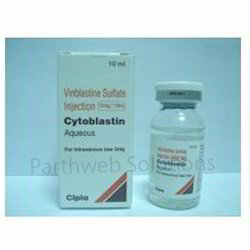 Cytoblastin Injection is used for the treatment of hodgkin's lymphoma, testicular cancer, non small cell lung cancer, breast cancer, head and neck cancer, langerhan cell histiocytosis and other conditions. 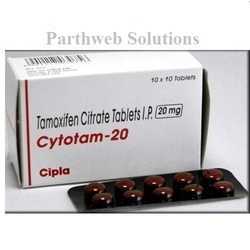 Cytotam 20mg tablet is used to treat breast cancer. It blocks the effects of estrogen hormone. It stops or slows the growth of cancer cells. 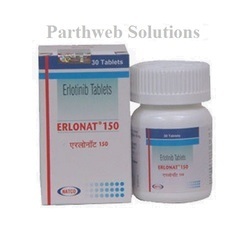 Erlonat 150mg tablet is used to treat non small cell lung cancer, pancreatic cancer. It blocks the action of abnormal protein in the body. It stops or slows the growth of cancer cells. 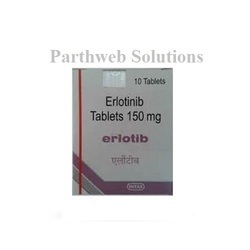 Erlotib 150mg tablet is used to treat non small cell lung cancer, Pancreatic cancer. It blocks the action of abnormal protein in the body. It stops or slows the growth of cancer cells. 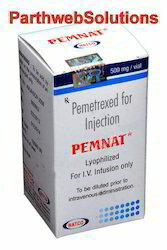 Femara 2.5mg tablet is used to treat breast cancer. It lowers the amount of estrogen hormone in the body. It stops or slows the growth of cancer cells. 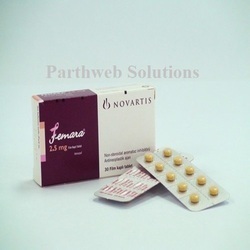 Fempro 2.5mg tablet is used to treat breast cancer. It lowers the amount of estrogen hormone in the body. It stops or slows the growth of cancer cells. 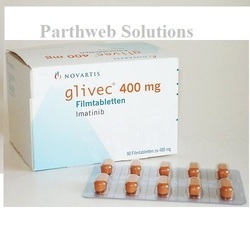 Glivec 400mg tablet is used to treat blood cancer, gastrointestinal stromal tumor. It blocks the action of abnormal protein in the body. It slows or stops the growth of cancer cells. 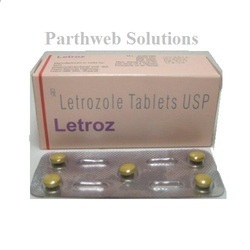 Letroz 2.5mg tablet is used to treat breast cancer. It lowers the amount of estrogen hormone in the body. It stops or slows the growth of cancer cells. 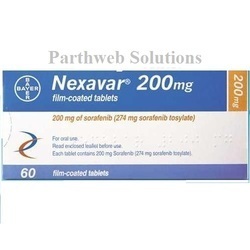 Nexavar 200mg tablet is used to treat liver cancer, kidney cancer and prostate cancer. It blocks the action of abnormal protein in the body. It stops or slows the growth of cancer cells. 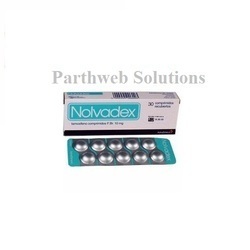 Nolvadex 10mg tablet is used to treat breast cancer. It blocks the effects of estrogen hormone. It stops or slows the growth of cancer cells. 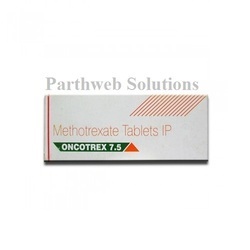 Oncotrex 7.5mg tablet is used to treat blood cancer, bone cancer, non hodgkin lymphoma. It slows or stops the growth of cancer cells. 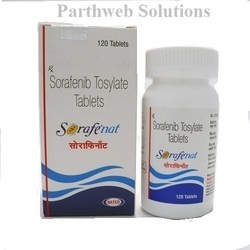 Sorafenat 200mg tablet is used to treat liver cancer, kidney cancer and prostate cancer. It blocks the action of abnormal protein in the body. It stops or slows the growth of cancer cells. 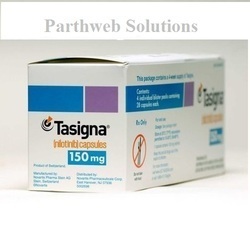 Tasigna 150mg capsule is used to treat blood cancer. It blocks the action of abnormal protein. It stops or slows the growth of cancer cells. Tasigna 200mg capsule is used to treat blood cancer. It blocks the action of abnormal protein. It stops or slows the growth of cancer cells. 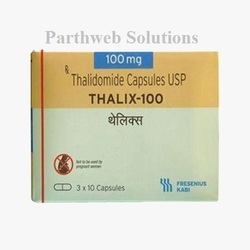 Thalix 100mg capsule is used to treat multiple myeloma as well as lepra reaction. It raises the activities of body's immune system. It stops the growth of blood vessels in cancer. Manufacturer: Fresenius Kabi India Pvt. 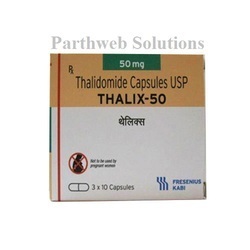 Ltd.
Thalix 50mg capsule is used to treat multiple myeloma as well as lepra reaction. It raises the activities of body's immune system. It stops the growth of blood vessels in cancer. 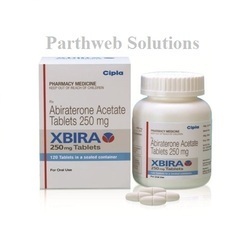 Xbira 250mg tablet is used to treat prostate cancer. It prevents from making hormone in the body. It stops or slows the growth of cancer cells. 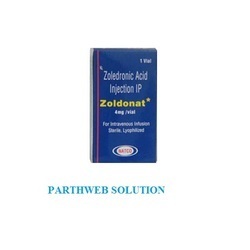 Zoldonat 4mg Injection is used for treatment of high blood calcium levels that occur in cancer (osteoporosis). This injection is used in chemotherapy to treat bone problems.